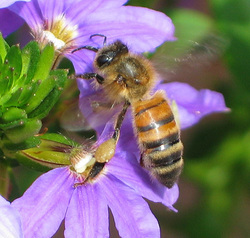 The authors, led by Alex Lu, associate professor of environmental exposure biology in the Department of Environmental Health, write that the new research provides "convincing evidence" of the link between imidacloprid and the phenomenon known as Colony Collapse Disorder (CCD), in which adult bees abandon their hives. "The significance of bees to agriculture cannot be underestimated," says Lu. "And it apparently doesn't take much of the pesticide to affect the bees. Our experiment included pesticide amounts below what is normally present in the environment." Pinpointing the cause of the problem is crucial because bees -- beyond producing honey -- are prime pollinators of roughly one-third of the crop species in the U.S., including fruits, vegetables, nuts, and livestock feed such as alfalfa and clover. Massive loss of honeybees could result in billions of dollars in agricultural losses, experts estimate. The characteristics of the dead hives were consistent with CCD, said Lu; the hives were empty except for food stores, some pollen, and young bees, with few dead bees nearby. When other conditions cause hive collapse -- such as disease or pests -- many dead bees are typically found inside and outside the affected hives. Strikingly, said Lu, it took only low levels of imidacloprid to cause hive collapse -- less than what is typically used in crops or in areas where bees forage. Scientists, policymakers, farmers, and beekeepers, alarmed at the sudden losses of between 30% and 90% of honeybee colonies since 2006, have posed numerous theories as to the cause of the collapse, such as pests, disease, pesticides, migratory beekeeping, or some combination of these factors. Bringing grains of pollen to waiting blackberry and red raspberry blossoms may be the special talent of a small, emerald-green bee called Osmia aglaia. That's according to Agricultural Research Service entomologist James H. Cane, who—in outdoor experiments in Oregon and Utah—has studied the pollination prowess of this 3/8-inch-long bee perhaps more extensively than any other scientist. The hardworking bee, native to Oregon and California, may help with pollination chores, augmenting the work of America's best-known crop pollinator, the European honey bee Apis mellifera. In recent years, hived honey bees across the country have been hit hard by a mostly mysterious condition known as colony collapse disorder. That problem—and others caused by mites, beetles, diseases and Africanized honey bees—have added even more urgency to the need to find proficient pollinators among America's wild native bees, noted Cane. He's based at the ARS Pollinating Insect Biology, Management and Systematics Research Unit in Logan, Utah. 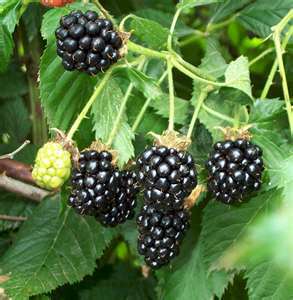 In one series of experiments, Cane showed that O. aglaia bees work quickly, visiting just as many red raspberry flowers, and nearly as many blackberry blossoms, as do honey bees, in the same amount of time. 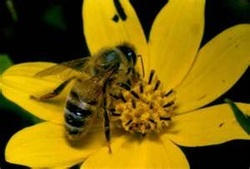 Insects Have 'Personalities' Too, Research On Novelty-Seeking Honey Bees Indicates ScienceDaily (Mar. 8, 2012) — A new study in Science suggests that thrill-seeking is not limited to humans and other vertebrates. Some honey bees, too, are more likely than others to seek adventure. The brains of these novelty-seeking bees exhibit distinct patterns of gene activity in molecular pathways known to be associated with thrill-seeking in humans, researchers report. Gene Robinson, who led the study. These differences may be due, in part, to variability in the bees' personalities, he said. "In humans, differences in novelty-seeking are a component of personality," he said. "Could insects also have personalities?"